Description: Play Formula Racer game online for free. 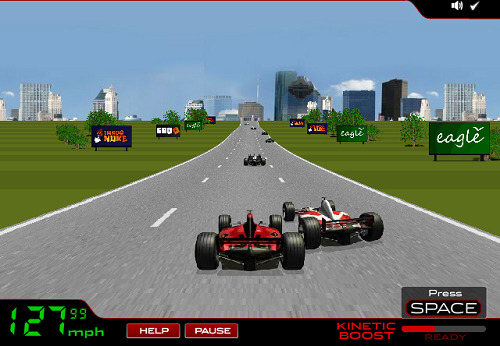 Drive your formula 1 racing car on tracks all over the world. Beat your opponents and update your car to become the world champion. Good luck! I really like to play racing games online. This game is getting harder once you finished the race. The only thing to make your car faster is to upgrade it, that's why you need to win in every race to pay the upgrade on the car..